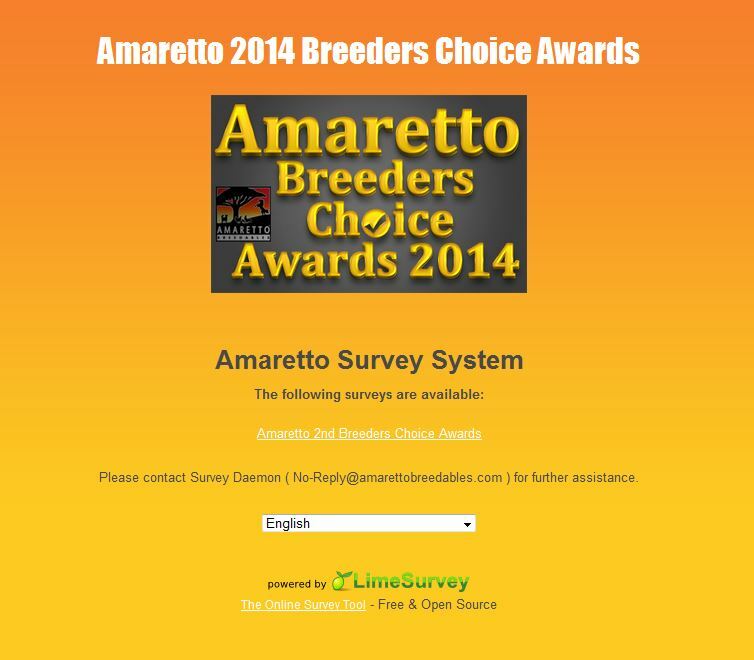 Amaretto Breedables Network - Blog View - Amaretto 2014 Breeders Choice Awards Voting Is Open!! It’s time to get those votes in for Amaretto’s 2nd Breeder’s Choice Awards! Below are the instructions for voting!! An email will be sent to the address you provided with access details for this survey. Please follow the link in that email to proceed. After clicking the link with in the email you will be asked to answer the security question and click continue. Be sure to vote on each category, there are 10 in total. Once you are finished voting you hit the submit button to send in your votes and you are all done!